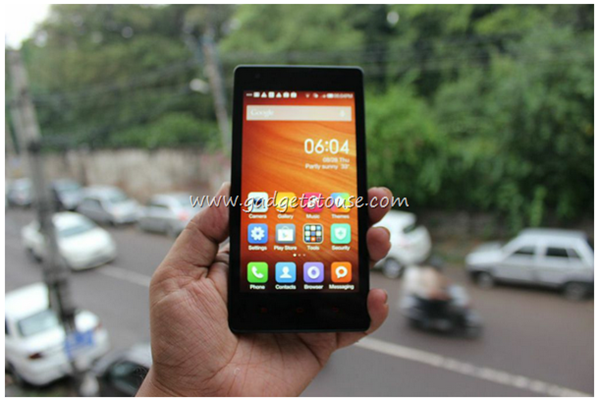 Xiaomi Redmi 1S is one of the best phones retailing for under $100 in India. The phone boasts of a very fine spec sheet and claims a performance at par with phones selling up to 15,000 INR. The chipset, on paper, seems more than capable of handling whatever you throw at it, but will it stand out to be the best gaming device you are looking for? Xiaomi Mi3 has 6.14 GB Internal storage free at users end. You can use entire space for apps, but apps are not transferable to SD card. Since you will have to keep other apps on the memory as well and some preloaded apps will dump their data on internal storage, you won’t be keeping many high end games on your Redmi 1S. 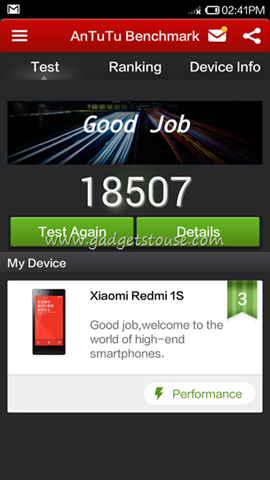 Antutu Score is 18,507. But irrespective of the score everything played fine. High end games work without any lag, but due to limited storage you can’t keep many of them on board. Nenamark score was 43 Fps. Again the score is decent enough in this price range but 1.6 GHz Snapdragon 400 was expected to perform slightly better. Irrespective of Benchmarks, the gaming performance was good. Temple Run OZ, Front Line Commando played smoothly, we didn’t notice any frame drops. The game ran without any issues. Modern Combat 4 also worked fine, but Modern Combat 5 is not supported on this device. The Gaming performance was very good and for closer look, you can watch the Gaming Review video below. Rival smartphones like Moto E, Zenfone 4 and Zenfone 4.5 also perform well in Gaming segment. All these other devices also allow you to transfer apps to SD card, which gives them a significant advantage over Redmi 1S.It’s a good thing that users have several options in budget price range, something which wasn’t deemed possible up to few years back. Xiaomi Redmi 1S does not standout as a gaming smartphone due to limited storage options. The device has great camera and display which overshadows its lag free gaming performance. If you like to engage with a few high end graphic intensive games once in a while, Xiaomi Redmi 1S won’t disappoint you.